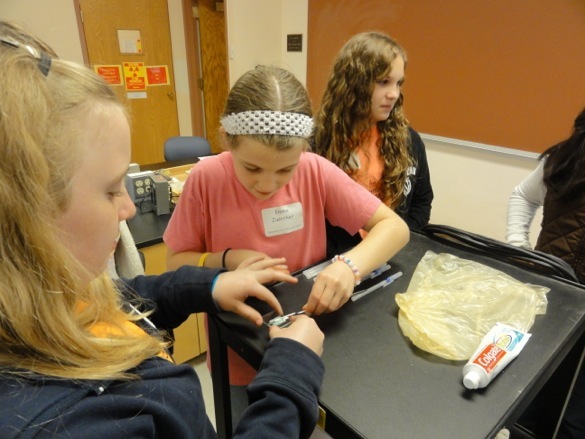 WOOSTER, OH – The Wooster Geologists are pleased to be part of the Expanding Your Horizons Program, a science workshop aimed at encouraging young women to consider science as a career. This year’s topics ranged from sunscreen to marshmallow-spaghetti towers. Our workshop focused on minerals in common household products. We’ve ran this workshop once or twice before, but now that the X-ray lab is fully established, we’ve (mostly) worked out the kinks. The girls began the workshop by guessing which minerals were in which products based on physical properties of the minerals. We tested their hypothesis for toothpaste by running a sample in the XRD, which provides us with a "fingerprint" of the minerals in the sample. This particular toothpaste contained a mixture of two minerals, so the girls needed to do some detective work to figure out which parts of the fingerprint belonged to which mineral. 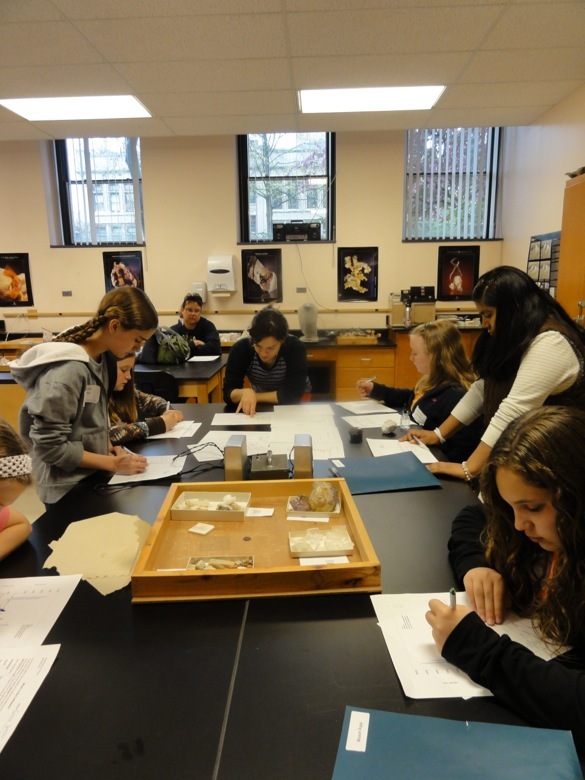 The girls were expert geologists, correctly matching each of the minerals to their products. 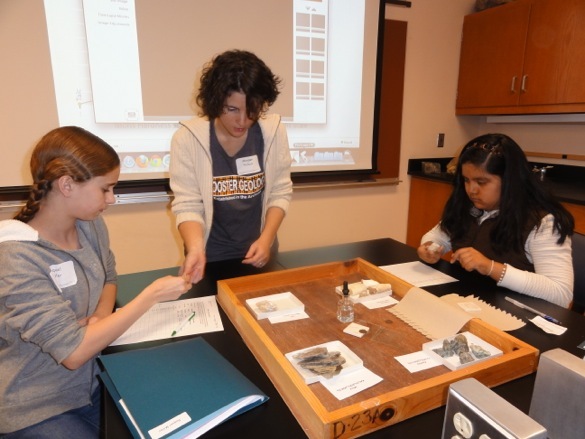 A special thanks to Wooster Geology Major Anna Mudd for guiding the girls through their experiment!